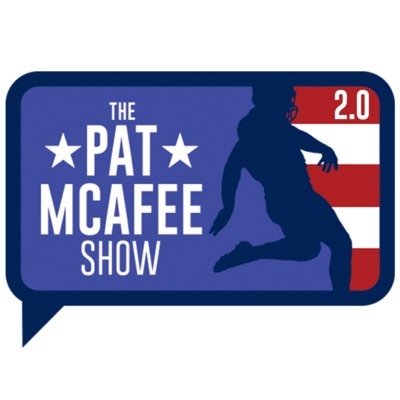 On today’s show, Pat and the guys are joined by friend of the show, and General Manager of the Indianapolis Colts, Chris Ballard. They chat about his draft day strategy in terms of what types of players the Colts plan to go after, whether or not they will be trading the 3rd round pick that Pat is supposed to announce, what he makes of the Gruden situation with clearing scouts out of the war room, and answers whether or not he’s a top need or best available guy in an incredible interview into the NFL draft process (4:!6-24:31). The guys also discuss the night that was OCW: Straight to Hell and all the madness behind it, how the guys put it together, and they relive some of their favorite moments, and look ahead to next week’s installment. The guys also discuss Ben Roethlisberger’s new massive contract and how Yinzers are presumably feeling about it, Pat talks a little about being cursed after the Vegas Golden Knights blew a 3-0 lead to the San Jose Sharks, and Pat decides to place a few locks on some other NHL teams as the Stanley Cup playoffs keep rolling on. Be sure to tune in to either ESPN or the NFL Network on Friday night to watch Pat announce the Indianapolis Colts’ 3rd round selection live from Nashville, it should be memorable. Come and laugh with us, cheers.